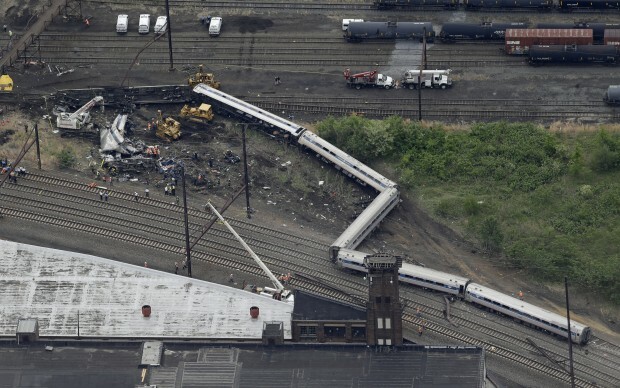 Philadelphia City Council on Thursday urged the federal government to tighten regulations on trains carrying crude oil, in the aftermath of a series of fiery derailments. City Council unanimously approved a resolution that calls on Washington to approve new rules for railcars. It also calls for the city to plan emergency-response workshops for communities along oil-train routes. Philadelphia-area oil refineries have become increasingly dependent upon rail shipments of domestic crude oil, which has displaced more expensive imported oil delivered by ships. Two major freight carriers, CSX and Norfolk Southern, now move from 45 to 80 oil trains through Philadelphia each week, according to city officials. The U.S. Department of Transportation sets rules governing railroad safety and railcar standards, so Council’s action is symbolic. “With the increase of train traffic in Philadelphia, we are flirting with disaster,” said Councilman Kenyatta Johnson, the resolution’s sponsor. Environmental groups including Clean Water Action, Delaware Riverkeeper Network, and PennEnvironment have lobbied Johnson’s office to take action since a CSX oil train last year derailed on a bridge near Center City. The accident caused no leaks, but the sight of oil cars tilted over the Schuylkill drew much attention to the issue. Last month’s accident in West Virginia – one of five in recent weeks – has inspired a surge in calls for action. The Federal Railroad Administration and the U.S. Pipeline and Hazardous Materials Safety Administration last year issued several emergency orders and advisories to address safety issues. The government is also considering new rules to phase out old tank car designs, though several of the most recent explosive derailments involved newer-model tank cars.